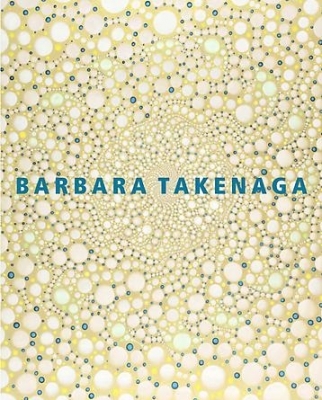 DC Moore Gallery is pleased to announce that we are representing Barbara Takenaga. The opening of Barbara Takenaga: Last Blue Wheel marks the first presentation of the artist’s work at the gallery. With these recent abstractions, realized in a palette of cool blues and greens, Takenaga extends elements of her hallmark style and confirms the commitment to her intensive process. A highlight of the exhibition, Langwidere offers insight into concerns underlying Takenaga’s work. The piece comprises thirty individual panels, 12 x 10 inches each, which are arranged to recall the calendar grid representing the days of the month of April. Resulting from a self- imposed system in which the artist attempts to create the same painting thirty times, the panels in Langwidere can be differentiated by the subtle variations that insinuate themselves into the work. The piece references the character Langwidere from the Oz Series by L. Frank Baum, whose unique anatomy – a different head for each day of the month –resonates with Takenaga’s interest in the relationship between concepts of the one and the many. Barbara Takenaga is the Mary A. and William Wirt Warren Professor of Art at Williams College, a position she has held since 1985. She divides her time between Williamstown, MA, and New York City, where she maintains a studio. Her work has been exhibited at Mass MOCA, North Adams, MA; the Museum of Contemporary Art, Denver; and the National Academy Museum, New York. In 2008 she received the Eric Isenburger Annual Art Award from the National Academy Museum.